Some outdoor cleaning projects can often be accomplished with a simple garden hose. But what happens when the job requires a bit more power? Well you could start scrubbing, but that could take days. 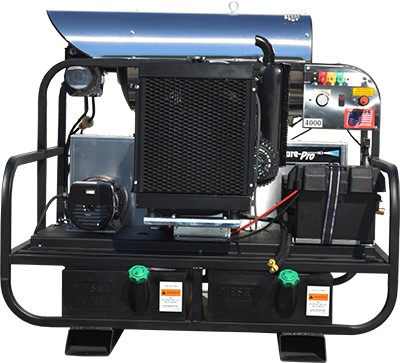 Nothing is faster or more efficient, for larger outdoor cleaning, than a power pressure washer. 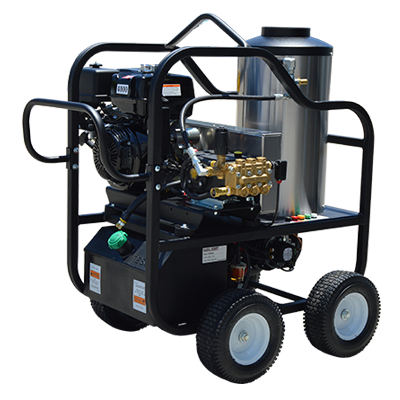 Pressure washers typically utilize either electricity or gas to power a motor that boosts water pressure from any ordinary garden hose to levels that will strip away most dirt, paint, and anything else from just about any surface. 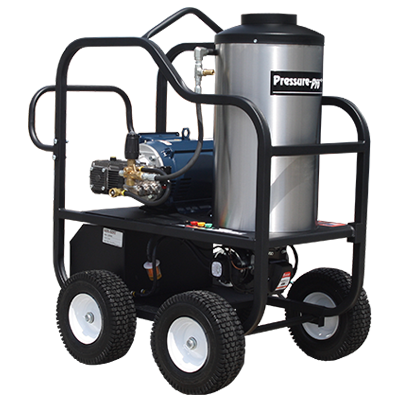 Pressure-Pro’s gas powered pressure washers generally take less time & effort to clean large areas and are designed for outdoor use. 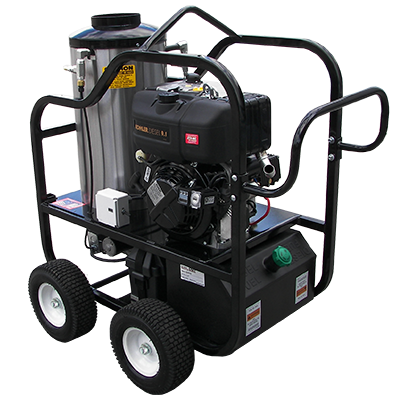 Gas powered pressure washers can be used in any cleaning application, from removing peeling paint (chalking) to cleaning hardened dirt and debris from any surface. 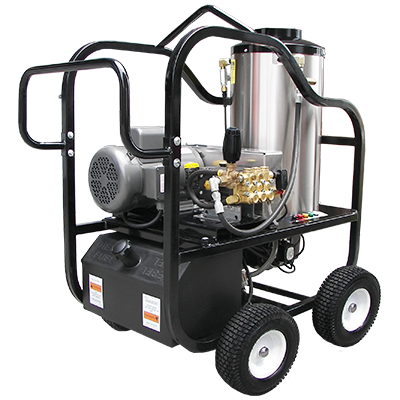 Because it is gas powered, it is also more mobile as you don’t have any power cords following you. 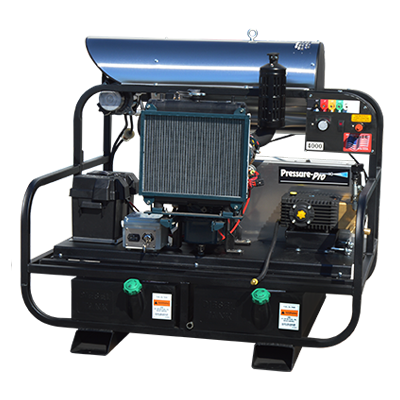 Pressure-Pro’s cold and hot diesel powered pressure washers are engineered for longer engine life for the toughest of jobs. 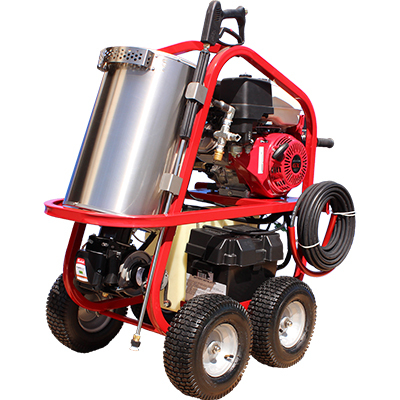 They are ideal for removing grease, grime, oil, paint stripping, gum removal and other tough outdoor cleaning applications. 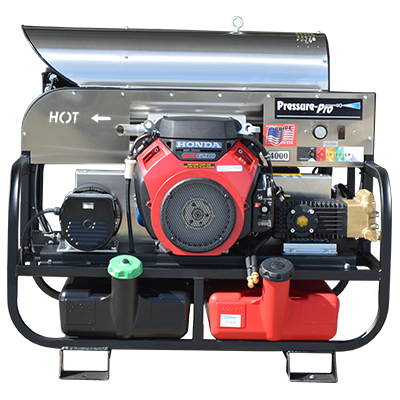 Pressure-Pro’s electric powered pressure washers can be used in an unventilated area, like a garage, basement, or kitchen. 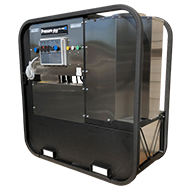 Electric motors are measured by taking horsepower and voltage to get amperage(amps). The higher the amps, the more power. 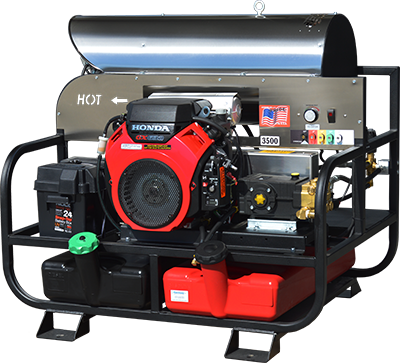 They are also quieter than gas powered machines and eliminate the need for fuel, which means having an unlimited power source.